***COMING SOON! 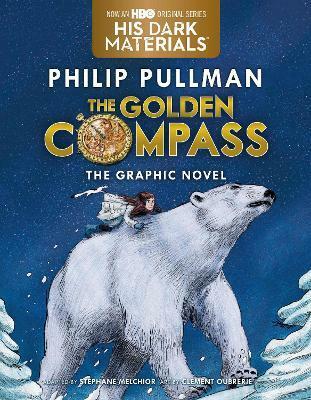 A NEW HBO SERIES, HIS DARK MATERIALS, BASED ON PULLMAN'S BOOKS*** The graphic novel adaptation of The Golden Compass, one of the most celebrated books of all time, is now complete! This edition contains all three volumes--the entire story. STÉPHANE MELCHIOR has worked as a screenwriter for both film and television. Recently, he turned his creative energies toward comics, penning both original stories and adaptations, including Raiju and Raiden with Loïc Sécheresse and an adaptation of The Great Gatsby with Benjamin Bachelier. CLÉMENT OUBRERIE is the acclaimed illustrator of more than forty picture books and is a co-founder of the 3D animation studio Station OMD. His comics include the Aya of Yopougon series by Marguerite Abouet and Pablo by Julie Birmant. His illustrations for The Golden Compass won an award at the International Comics Festival in Angoulême, France.